Did you ever wish you could eat carrot cake for breakfast? 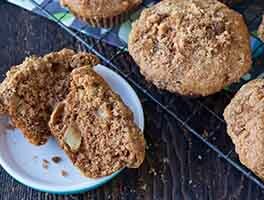 These muffins are a tasty stand-in. Moist and tender, studded with grated carrots and lightly spiced with ginger and cinnamon, they hold a tasty surprise within: a melting pool of sweetened cream cheese filling. 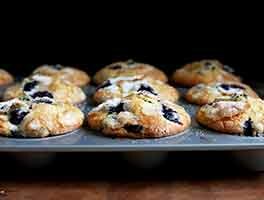 Sprinkle the tops of the muffins with coarse white sparkling sugar, if desired. Very good recipe. Very moist and flaky. I have this in my recipe book for favorite recipes. Followed as directed with exception of flavoring in cream cheese mixture (only because I didn't have any). My muffins came out moist and flavorful! They are not oily like some carrot cake tends to be. Would this batter work if I placed in a loaf pan? The filling came out of the top of the muffins while baking. The tops sunk. My oven is a mess. Fabulous, made them for the second time. If you microwave them on the second day, the bit of warmness makes the cream cheese super yummy. 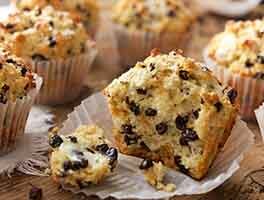 My muffins turn out delicious, thank you! Super yummy! 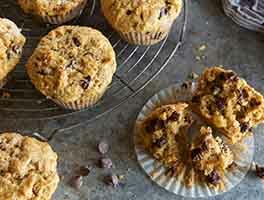 My partner told me the muffins were 'awesome.' 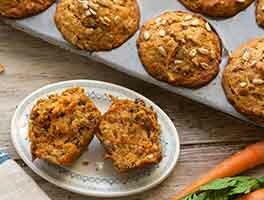 Fluffy and moist with a dense cream cheese center, the muffins definitely hit the target for 'carrot cake.' The next time I need a dessert for a party, I'll be making these instead of a cake or cupcakes. Was not crumbly and dark like carrot cake. Disnt taste all that great. Disappointing. I followed this recipe to a tee and it is the best carrot muffin cake I have ever made. To have the cream cheese centre filling is just the best idea ever. 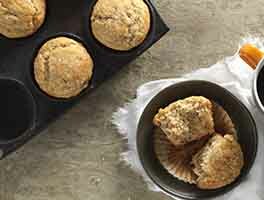 The muffins are nice and fluffy, yet moist at the same time. This recipe is a keeper and will be making it again and again.